Using varying & strikingly divergent approaches, the world’s most innovative technology companies are trying to achieve one thing: the development of intelligent personal assistants that can perform tasks for you. This is the next battlefield, and we think Google is going to come out on top. In our opinion, the companies which will make the most out of personal assistants are the companies which have their own ecosystems, like Google, Apple and Amazon. This is because, when part of an ecosystem, a personal assistant agent benefits from closer integration between different data points spread across several sub-platforms that govern different aspects of our digital and daily lives. We believe that Google and Facebook are in prime position to build very intelligent personal assistances due to the width and breadth of their platforms. That said, Google benefits from the best ecosystem and has many competitive advantages over other technology giants. An important competitive advantage is the fact that Google has always been an artificial intelligence company. 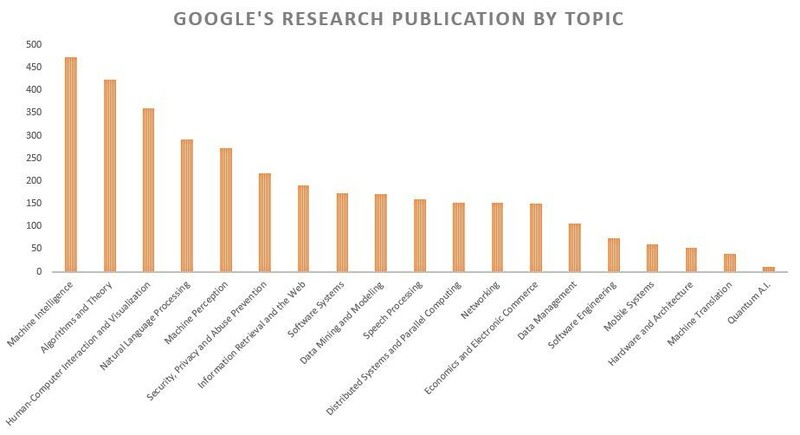 Machine Intelligence ranks the highest in Google’s portfolio of research papers. Beyond internal research and development, Google has made several high profile acquisitions that will propel it ahead of its competitors, like its procurement of Deep Mind Technologies in 2014. Google is also making a huge effort to share its knowledge of machine learning with the wider development community. It recently open-sourced TensorFlow, a new machine learning system that will help accelerate discovery and development in the machine learning field. Here is an important question that makes all of the above relevant to digital marketers. How important is it for Google to come first in the personal assistant race? A few weeks ago, Singhal announced his retirement. Subsequently Google announced that his position will be filled by the head of the Artificial Intelligence team, John Giannandrea. Putting an AI veteran at the helm of its search operation is a vision-defining statement. The key information in the above statement is “we are investing in evolving this [search] to actively assist our users throughout the day in smart and helpful ways”. There you have it. Google’s vision for search centres on the creation of what would probably be the smartest personal assistant the world has ever seen. The proliferation of voice search and digital assistants will fundamentally change the behaviour of searchers – a shift from phrases to conversational queries would be the most likely starting point.